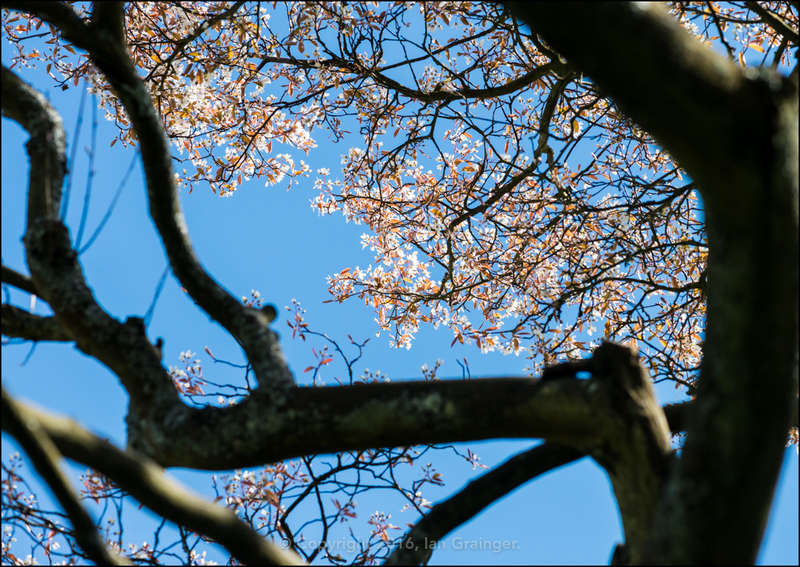 This last week has been the best of the year so far weather wise, with some beautiful blue skies and a notable rise in temperature during the daytime. 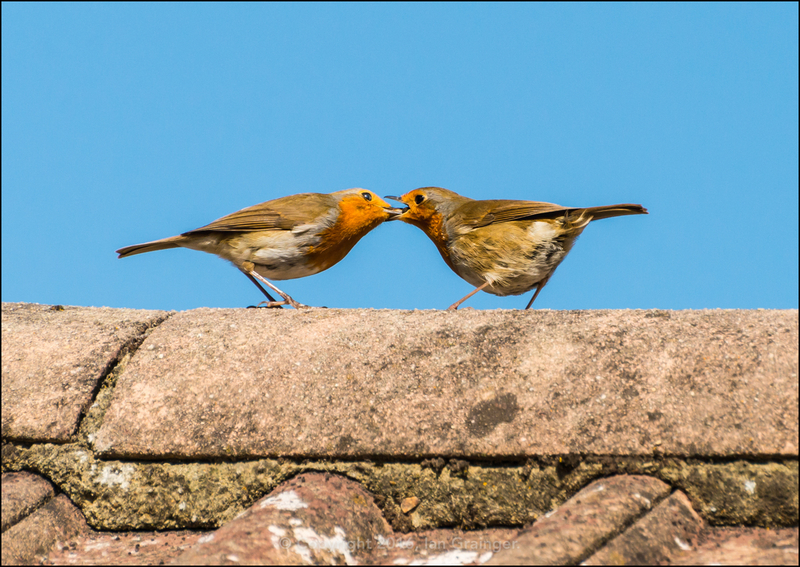 The warmer weather has encouraged all sorts of wildlife into the garden, especially the birds and the bees. These two European Robins (Erithacus rubecula) were cooperating in feeding their young in a sort food relay. One Robin would catch the food while the other waited near the nest, then it would pass the food on and the other Robin would fly off to feed the youngsters. Fascinating! 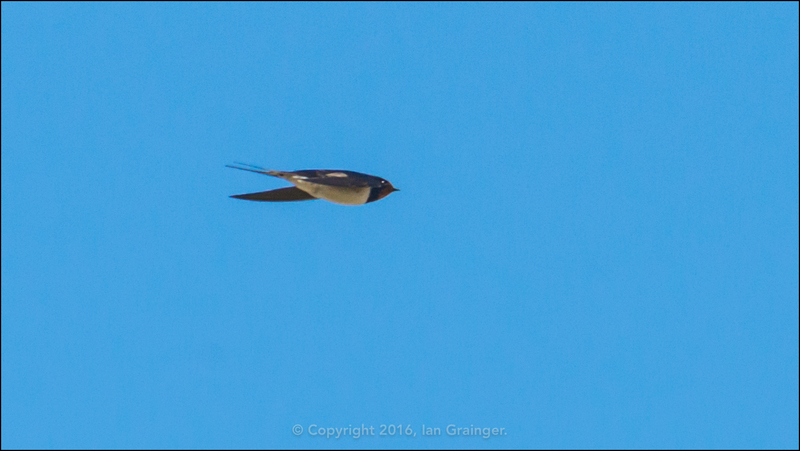 The warmer weather saw the return of the Swallows (Hirundo rustica), and I saw my first one of the year on the 17th April this year. This may not be the greatest picture, but I was quite pleased that it was sharp because they move so fast, and change direction so quickly. 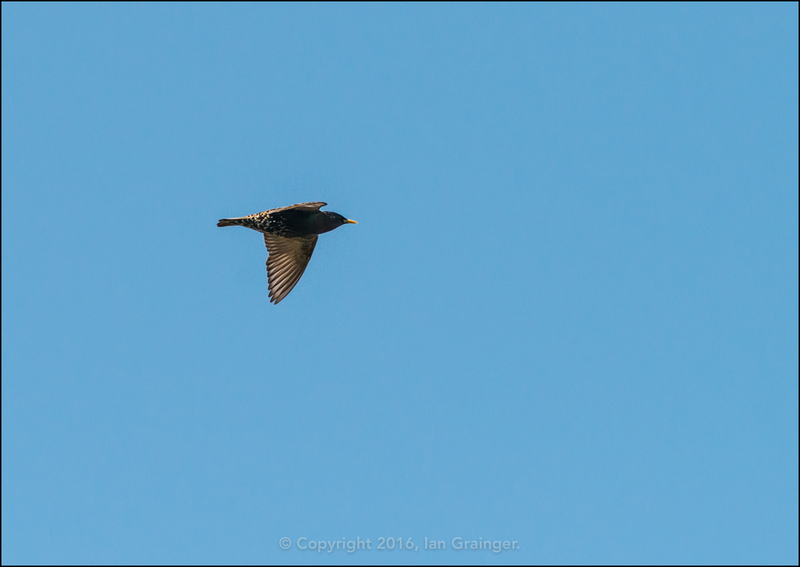 I'm more familiar with shooting Starlings (Sturnus vulgaris), as they have a more straightforward flight path, which is usually a straight line. Not really a flock, I know, but I wanted to include this image this week just to show off how blue the sky was. 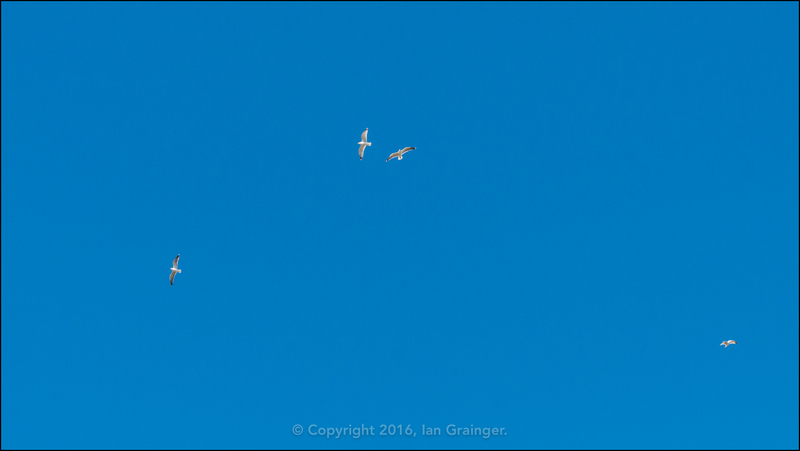 The seagulls were flying really high, catching thermals and spiralling up out of the reach of my 300mm lens. 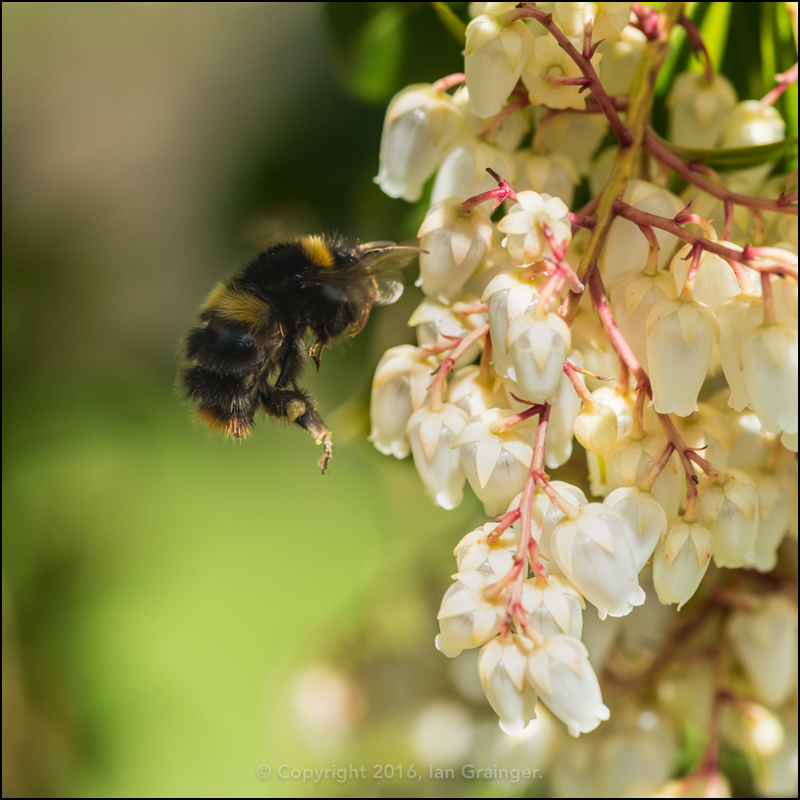 This week the Forest Flame (Pieris) bush was not only covered in blossom, but also in Bumblebees (Bombus). They couldn't seem to get enough of its pollen, and individual bees were returning time after time to collect it. 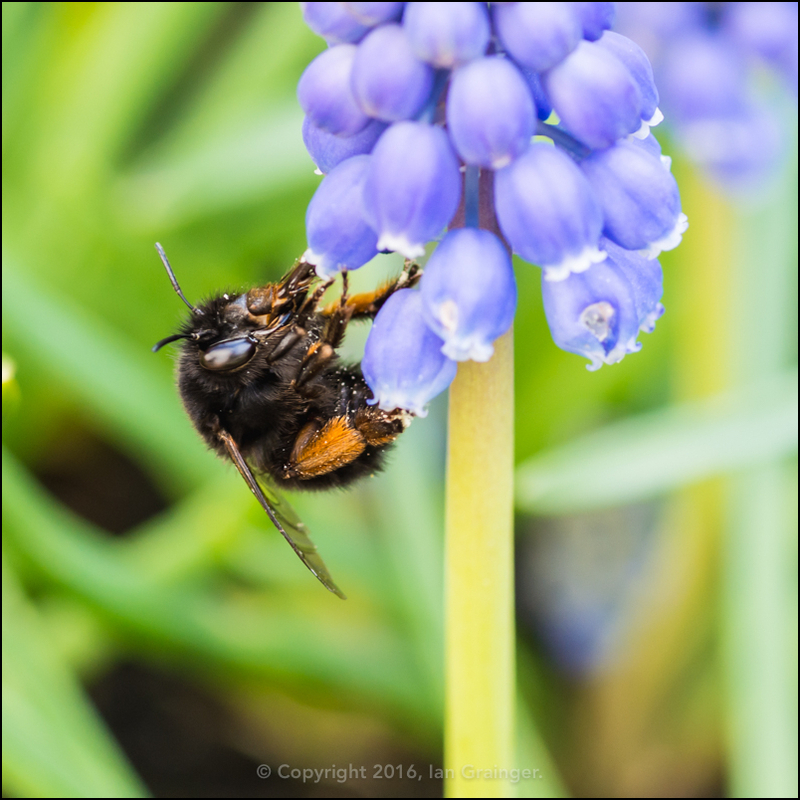 It wasn't just the Pieris blossom that the Bumblebees were interested in, the Grape Hyacinth (Muscari) was looking at its best, and was also attracting its fair share of visitors. 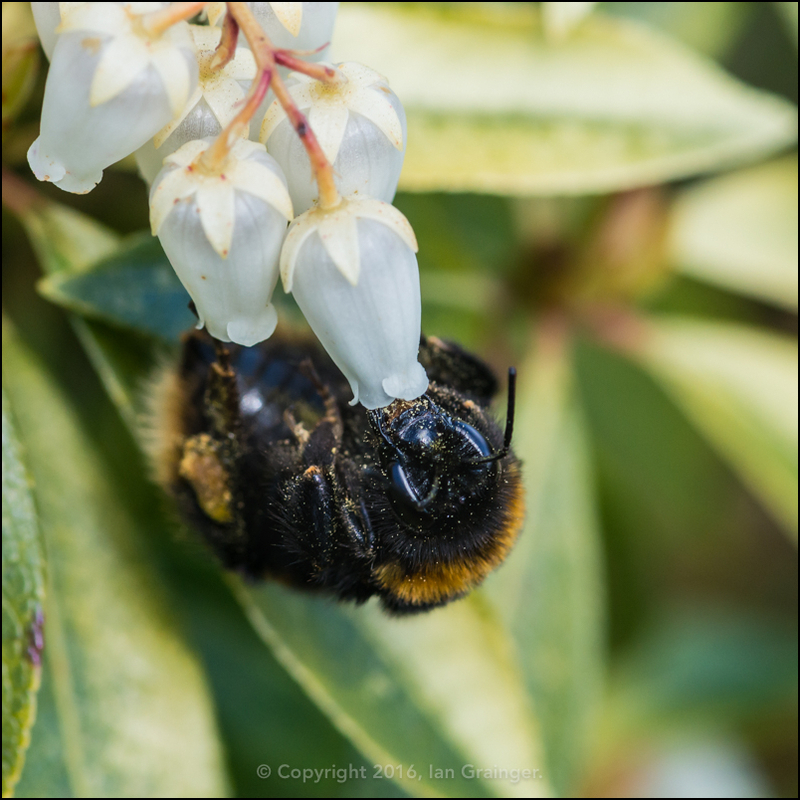 However, it was the Pieris that was the main attraction, and was buzzing with the sound of Bumblebees hovering all around it. It wasn't just the Bumblebees that were out in force though. 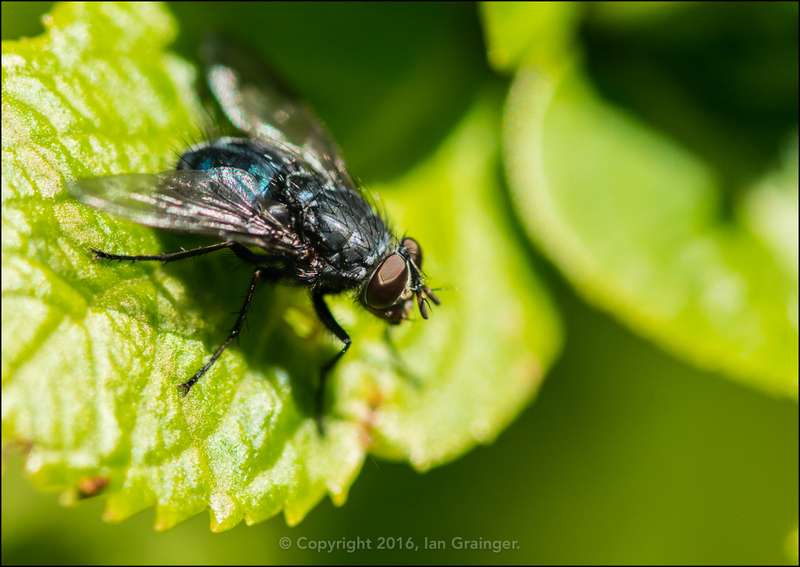 There were any number of Flies (Diptera) around, mostly sitting on leaves and sunning themselves. 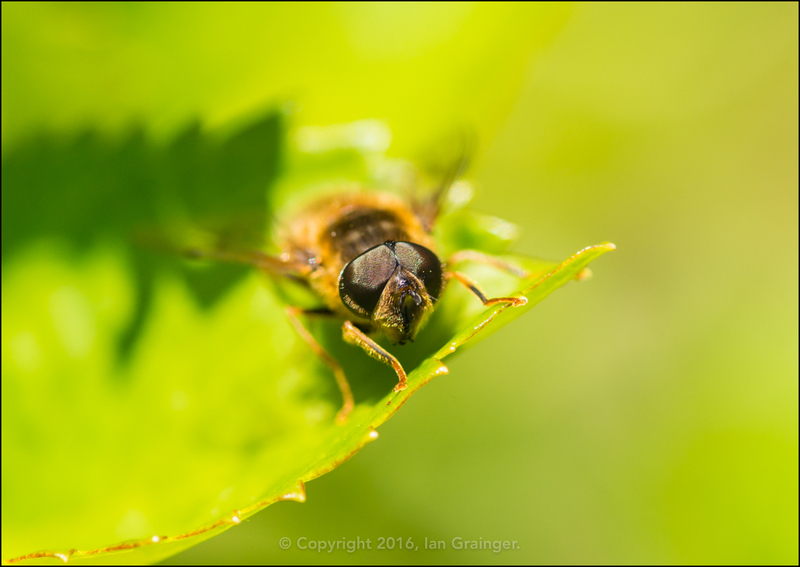 There was also an abundance of Hoverflies, also a member of the True Fly family of Diptera. This was the first week of the year that they were literally everywhere! This Amalanchier Tree was looking fantastic in my dad's garden. 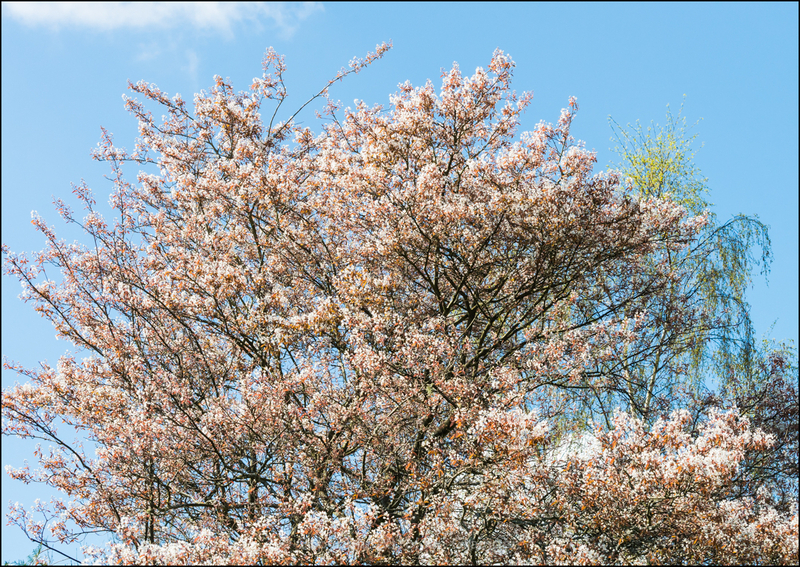 Unfortunately the blossom doesn't last long, and is easily blown off even in light winds, so it probably won't be there next week. However, I made the most of it while I was at dad's and made sure I captured it from lots of different angles. 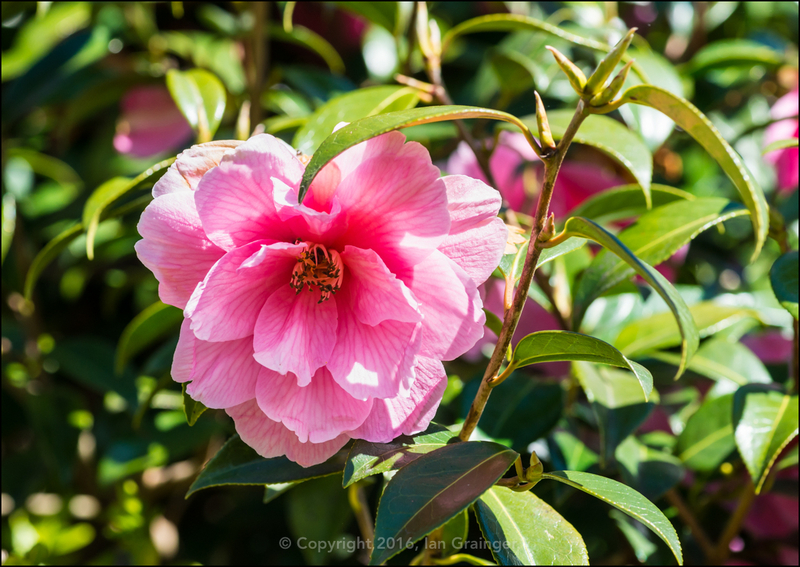 I really had to hunt hard again this week to find a good flower to shoot from my dad's Camellia bush. One more week and it will have spent a total of four months in bloom. I find that quite miraculous considering the weather its had to put up with. 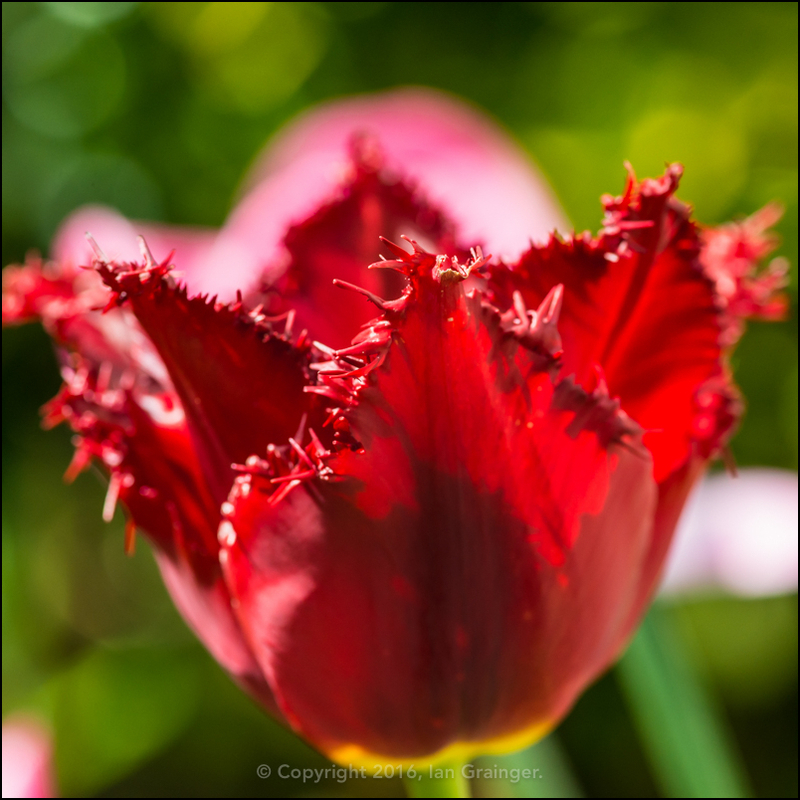 ...and this one was also appealing because of its frilly petal edges. 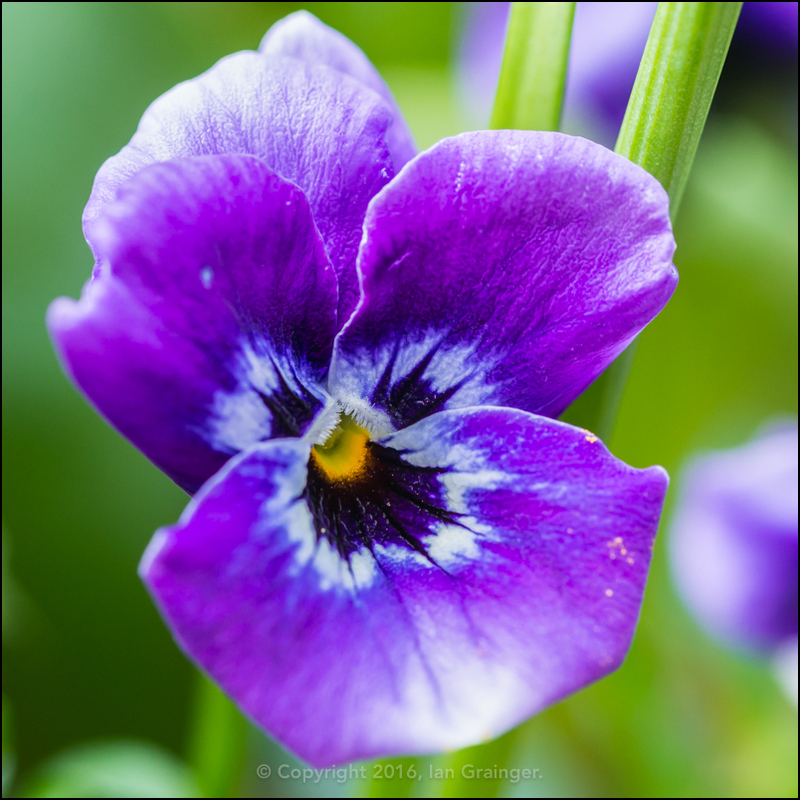 ...and the Pansies (Viola tricolor) had come back from last season. This purple one was the first to show. 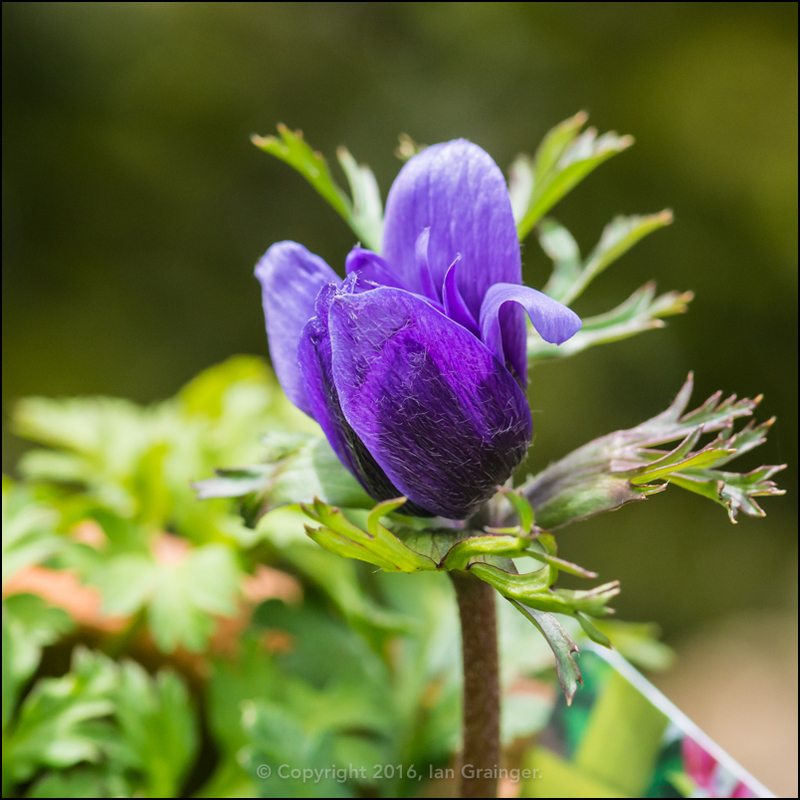 Something else that was purple also arrived in the shape of this small Anemone bloom. 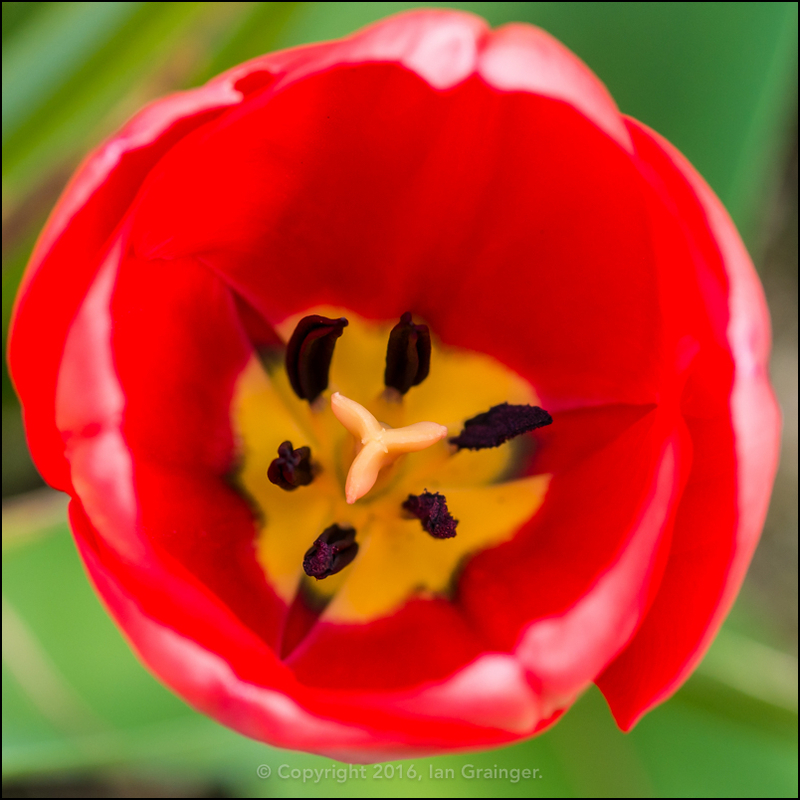 I love the little hairs on the surface of the petals. I have no idea what they signify, but like the look of them! 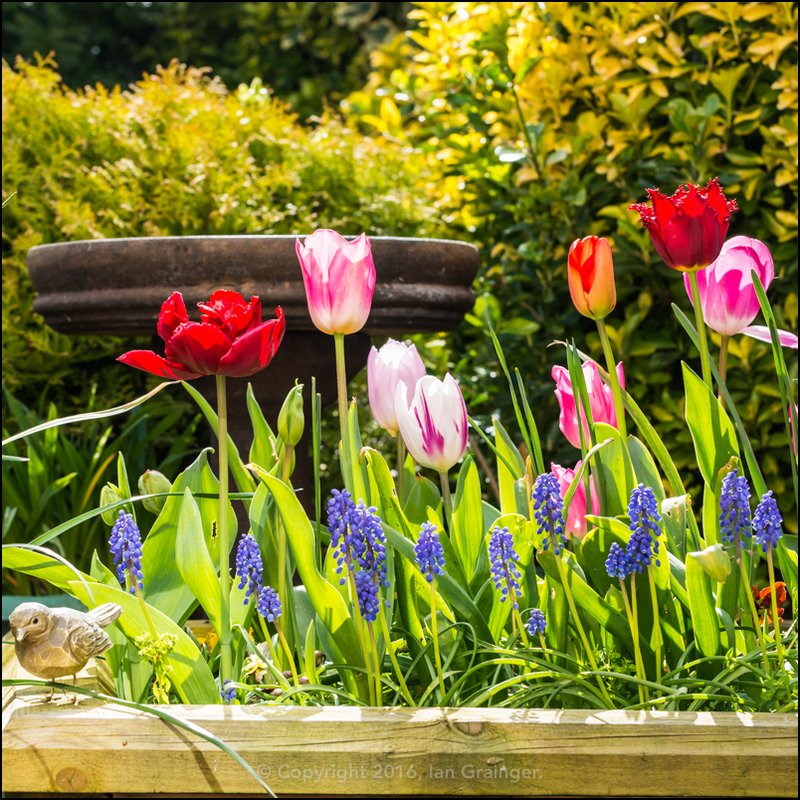 One of the views from my garden seat was looking especially good in the springtime sunshine, and was a riot of colour. 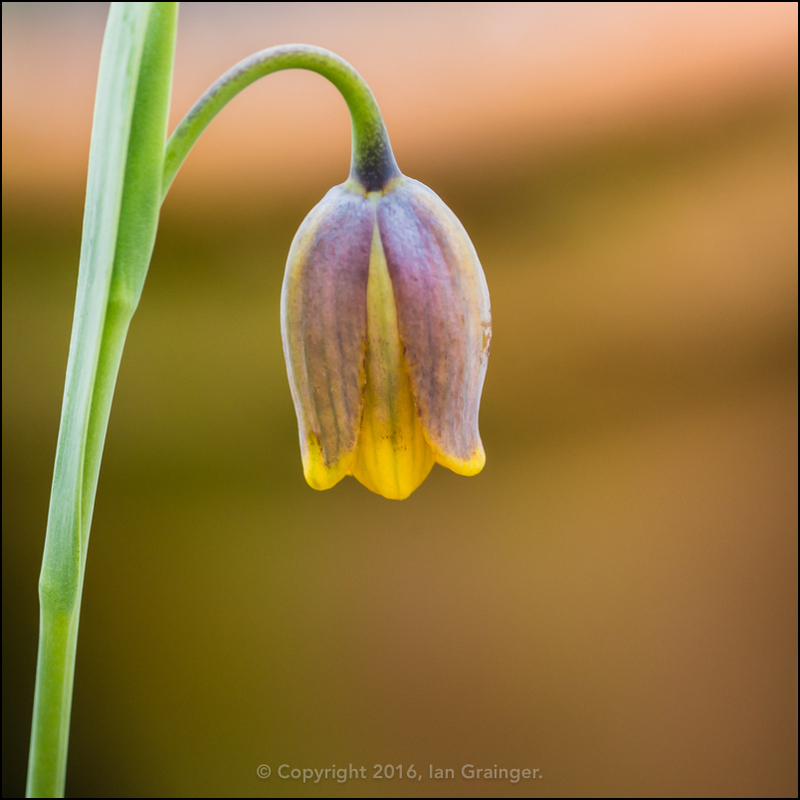 Finally, you may remember last week's article, where I showed you pictures of the summer seeds I'd planted? 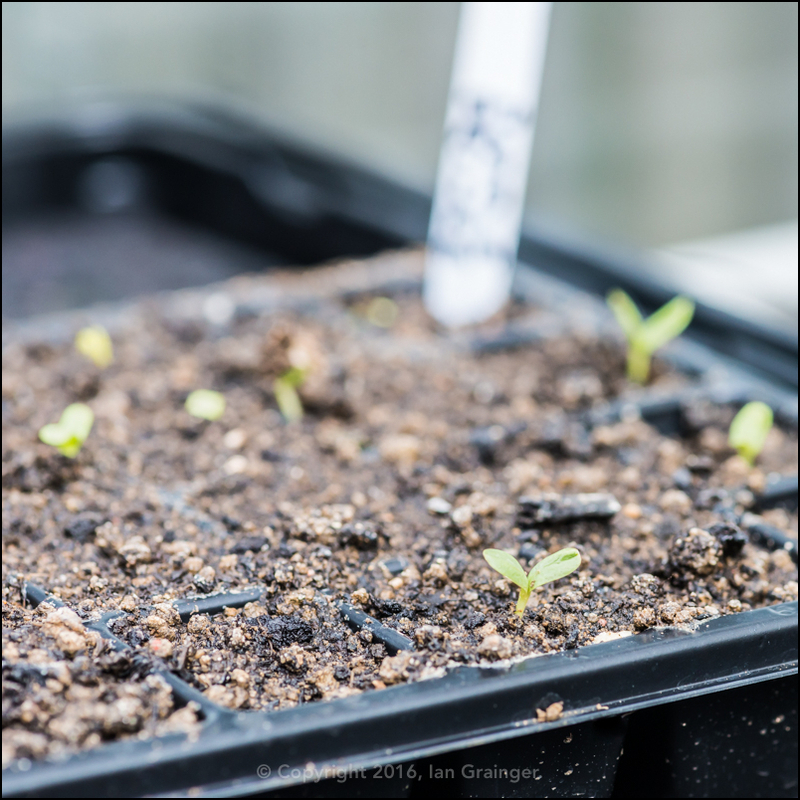 Well, only five days after I'd sown them, some of my Zinnia seeds had germinated, all thanks to the lovely weather.